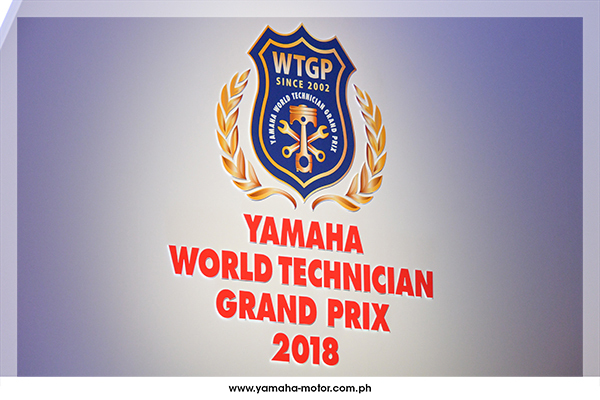 The World Technician Grand Prix (WTGP) is the competition for determining the World’s No.1 Yamaha motorcycle technician. The bi-annual meet was created not for individual prestige, but the continued improvement of service delivered to customers. And the journey to get there is not easy. 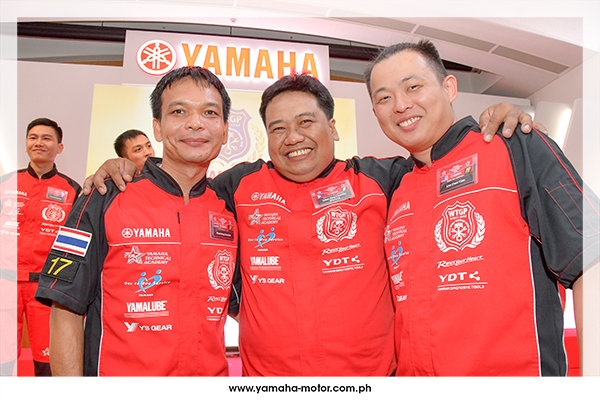 To provide the quality Yamaha is known for the world over is instilled to every technician in all corners of the globe. 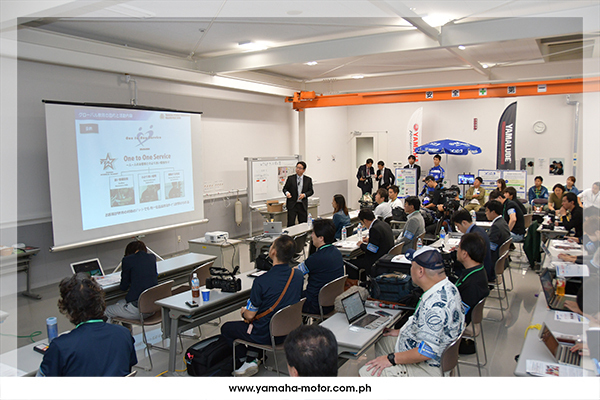 Each technician must pass the Yamaha Technical Academy (YTA) training program, which is based on a uniform set of Yamaha’s unique worldwide standards. For Philippine representative Allan Rey Silverio, it was a matter of working hard and enjoying it as well. When he first became a mechanic, he wouldn’t have imagined the experience he would have as he continued to excel in his craft. 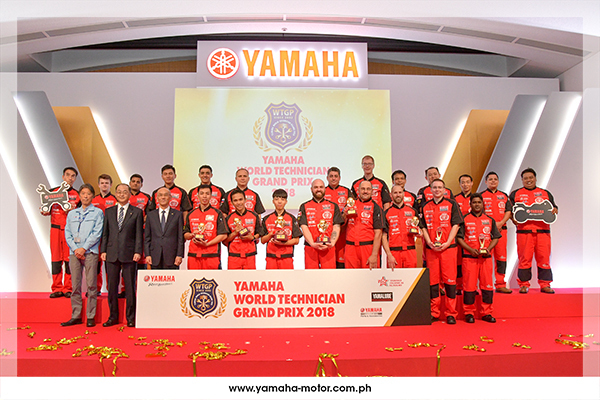 After battling against hundreds of technicians in the Philippines he emerged victorious and was name the most elite technician in the national (or regional) competition of the Technician Grand Prix. 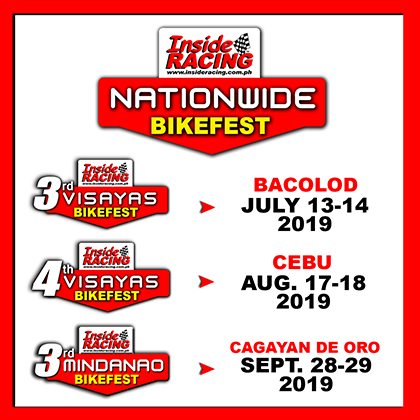 The win earned him a spot in the World Championships along with 20 of the top mechanics from 18 countries and regions. It was like a dream for Allan when he reached the country of Japan. He thought that his profession would confine him within the walls of a shop. 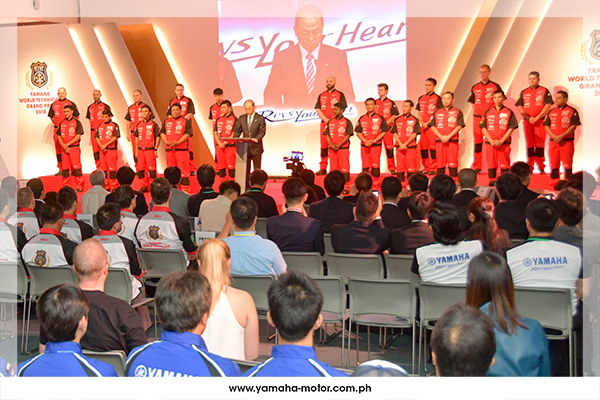 With Yamaha their abilities are continuously cultivated, and achievements rewarded. But before he could enjoy the culture of this foreign land he had business to attend to. 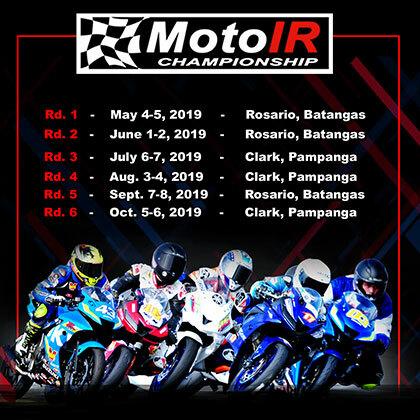 The World Technician Grand Prix is the pinnacle of Motorcycle know-how and even the smallest detail can tip the scales of victory or defeat. 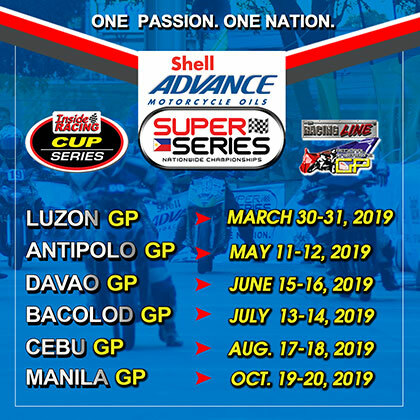 The WTGP is composed of 2 events. 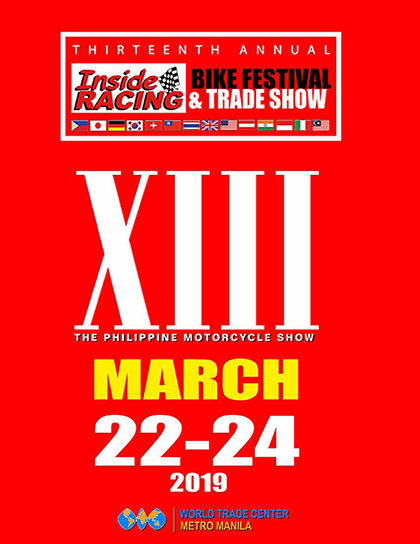 The first is the “Technical Skills Competition”, and the other is the “Customer Relations Competition”.The units were divided into 2 classes of motorcycles, Sports Model Class and Commuter Model Class, to fit the sales profiles of the various countries participating. 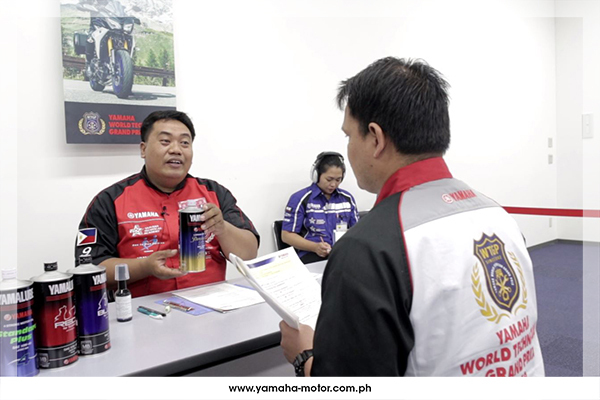 For Allan, his task was to repair a damaged YZF-R3. All contestants are judged not only their repair and maintenance skills, but also speed and accuracy of judgement. 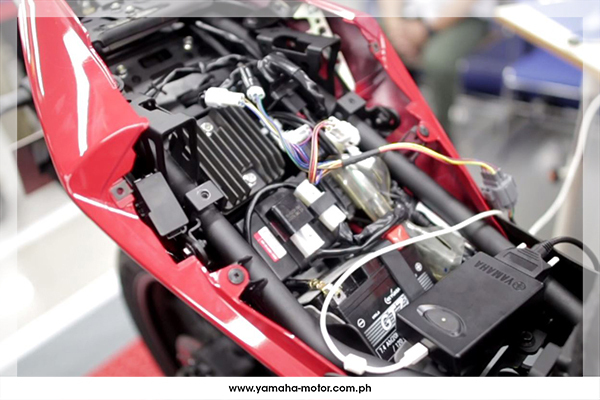 First, they must repair the faulty engine, and then check each component and part in accordance with the periodic maintenance list.They used the Yamaha Diagnostic Tool (YDT) which is a fault diagnosis tool that allows you to find faults quickly and accurately by connecting to a computer. 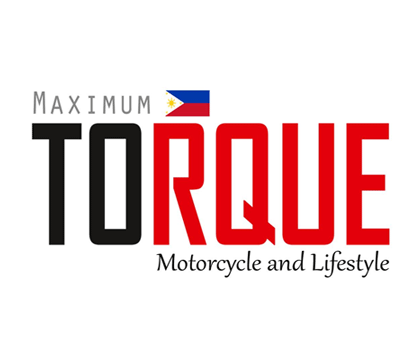 They are required not only to repair the motorcycle but also to show the reasons for judgement of failure. All this in 80 minutes. Next is the Customer Relations competition. Technicians are judged on how well they communicate the problem, solution, service, products available to a customer. The simulation places the mechanic in a shop situation with a stand-in customer. This 30-minute examination highlights attitude, knowledge, and personal savvy. Even the slightest gesture, explanation, insight, pushes the contestant an extra mile. After a tough competition, Allan earned invaluable wisdom through his experience. Being among the best technicians in the World is quite a feat. All the competitors were treated to a tour of Osaka where they immersed themselves in the culture of Japan. This is where bonds that last a lifetime are also made among elite mechanics of the Worlds. After all, getting to Championship isn’t the goal. It’s always getting better to provide outstanding service to riders everywhere.